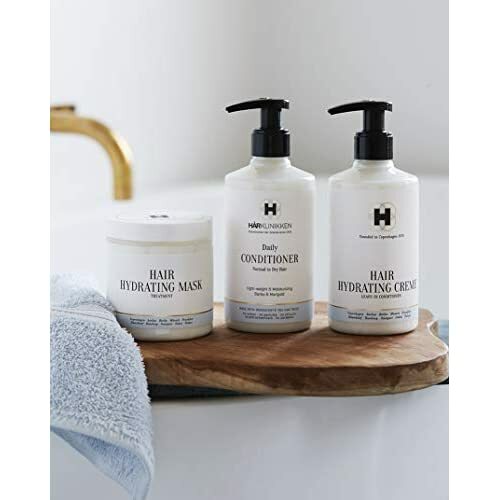 UNIQUELY FORMULATED: This Lightweight and Moisturizing Conditioner Helps to Improve the Softness, Elasticity and Smoothness of the Hair, Making it More Manageable. KEY INGREDIENT: Based on Plant Extracts from Burdock Root, Barley, Rosemary, Chamomile and Marigold. WHAT’S NOT IN IT: Contains no SLS, SLES, Perfume, Essential Oils, Color, Silicone, Petrochemicals or Parabens. OUR PROMISE: We are Committed to Innovating with Plant-Based Ingredients and without Problematic Chemicals. 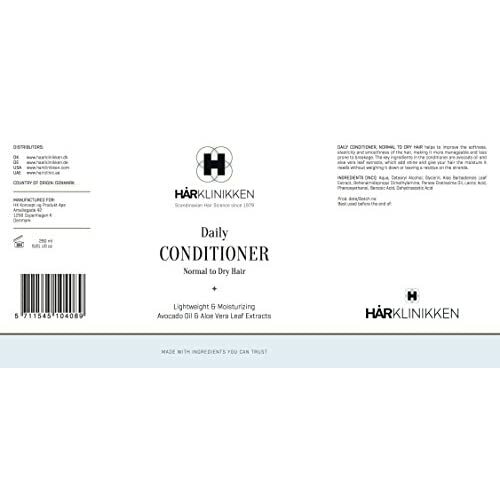 Harklinikken's Daily Conditioner Adds shine, gives your hair the moisture it needs without weighing it down or leave residue on the strands This conditioner is suitable for all hair types and is great for those with normal to dry hair. 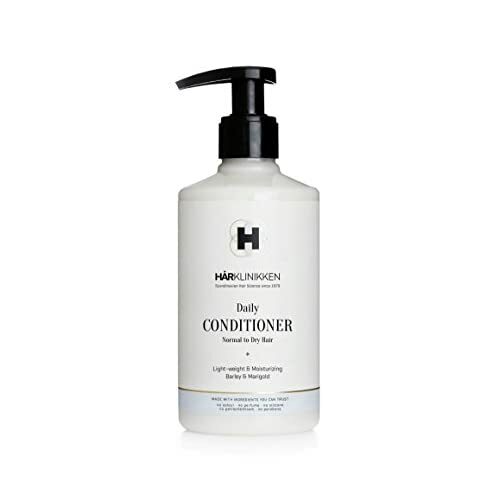 Daily Conditioner It is comprised of plant extracts from wheat, barley, rosemary, chamomile and marigold, combined with the highest quality jojoba oil. Harklinikken´s own burdock root, barley. . 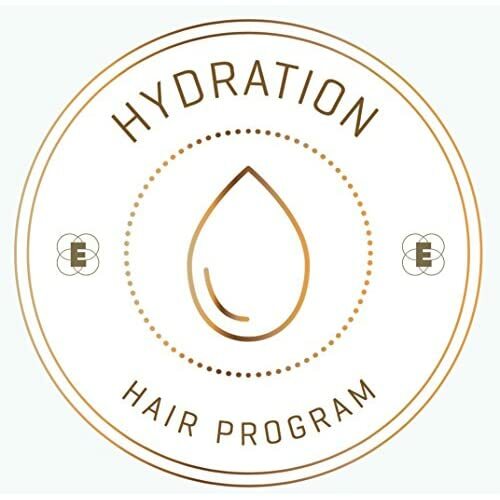 Dispense 3-5 pumps into hand, depending on hair volume and length. Apply to wet hair and focus the conditioner on lengths of hair. Leave in hair for at least one minute before rinsing.